Alright y’all, this post has been a long time coming but I’m finally getting around to sharing my experience with eyelash extensions with you guys. The popularity of lash extensions is on the rise and of course I was curious. I wanted to know what it felt like to have super long lashes every day while saving time getting ready. 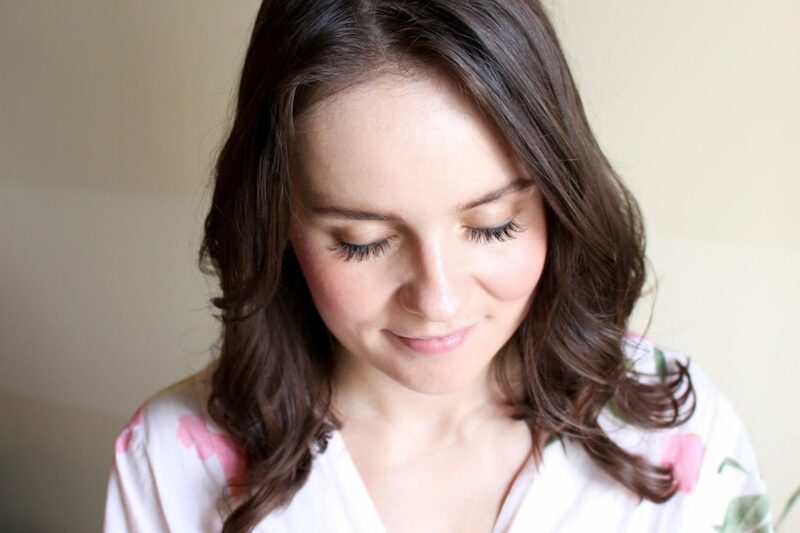 Today I’m sharing 10 things you should know before getting lash extensions and also how mine turned out over the course of a month. This is hands down the best thing about having lash extensions. I loved having the “I woke up like this” look because long eyelashes just make you look so much more awake! I also felt like I didn’t really need any eye makeup at all because they just look that good. Removing mascara was always the least favorite part of my nighttime routine and it felt so good to just skip this step. 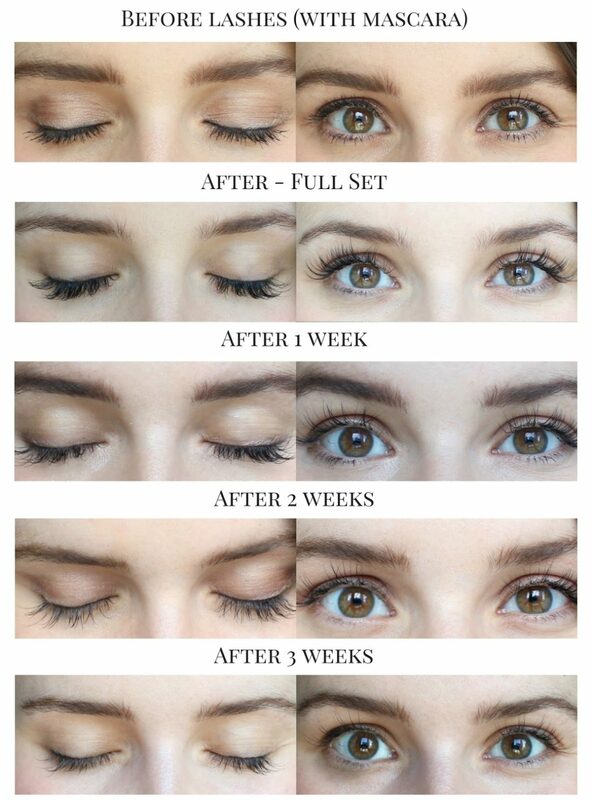 If you want to get and maintain lashes, be ready to drop some serious $$$. Prices vary at each salon, but my full-set was $150 and fill-ins are $50. The price also depends on what type of lashes you get- mink, synthetic, or silk. As far as time goes, it takes about 1.5 – 2 hours to get a full set and about an hour for fill-ins. Speaking of fill-ins, you’ll have to hit the salon about every 3 weeks (4 if you’re lucky) to get your lashes filled in. You also have to wash & blow dry your lashes to keep them free of oils and maintain their curl. Johnson’s baby wash daily/ every other day will do the trick! Your lash technician will also give you a spooly brush to use. This is definitely something to keep in mind, especially if you work out a lot. Moisture affects the glue used on the lashes and won’t let it cure as well. Avoid any heavy exercise, crying, eye makeup, and face wash.
You have to be pretty gentle with these babies and if you love to rub your eyes or have allergies where they get really itchy, these may not be for you. If you vigorously rub your eyes, you risk the lashes falling out AND also risk damaging your natural lashes. Just don’t do it! During my first month with the lashes, a few more fell out than normal and I was told that the way you sleep can definitely affect this. Try your best to sleep on your back (easier said than done, I know) and if you sleep on your stomach you may wake up to flattened lashes. After sleeping, some of my lashes would sometimes point in the wrong directions (drove me crazy!) but a good wash & blow dry would usually fix this. When removing eye makeup, make sure to only use oil-free makeup remover because oil can weekend the glue and cause your lashes to slide off. Also, liquid liner is recommended over cream/pencil because they contain oils as well. Speaking of eye makeup, I found it kind of a pain to put on. Yes, it was nice to to need eye makeup but when I actually wanted to put it on, I found the lashes to get in the way. And taking it off was a pain because you have to be so gentle- I never felt like I got all of my liquid liner completely off. I found that more of my lashes fell out the first month (shown in these photos) than the second month but I think that was due to me getting used to the lashes. So don’t lose hope if things don’t go as well the first month! Since these are so much longer and darker than natural lashes, expect to find these little guys on you pillow, on the couch, and in random places all over the house. Y’all. This was the saddest part. I got mine removed last week (super quick and only $10) and was quite sad to see my little stubby lashes underneath. Lash extensions are “supposedly” safe and shouldn’t damage your lashes, but some have say that it makes your lashes weaker due to constantly supporting the weight of the extension. 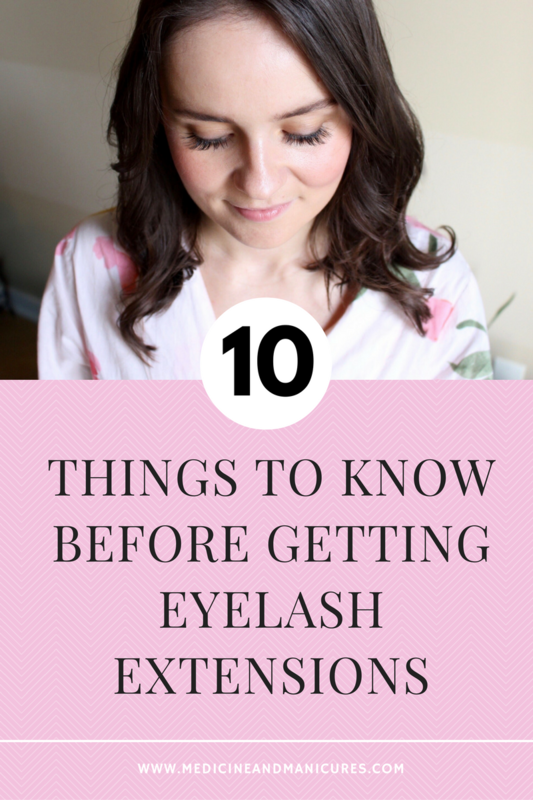 You have to be prepared that your eyelashes will look wayyyy smaller because you have been so used to having long extensions. I’m guessing this is why people get addicted! Whew, that was a lot of info! I know a lot of these things may sound negative, but I really did love having lash extensions and they really make your eyes looks fabulous. I got them removed because of cost and I also just wanted to get back in my normal routine for a while. I figured I would get them again but after seeing how small my lashes appear now, I’m totally rethinking that. But then again, I miss them! And remember, everyone has a different experience but I just thought I’d share some things I wish I would’ve known before trying them out. Hope this gave y’all a little insight into the extension process and if you have any other questions, feel free to email me at medicineandmanicures@gmail.com. what a great review and tips! my gf has been on the lash train and cannot stop. she's addicted! i'm on the microblading eyebrow train and can't stop – we all have our vices haha. I got extensions for my wedding 2 years ago and LOVED them. Like you said, no mascara and your eyes look amazing with little to no effort! But also as you mentioned, they're expensive to keep up with and you have to be super careful about the products that you use. I don't remember having any damage to my natural lashes, but I also didn't have my extensions removed, I just let them all fall out. So maybe doing it that way, I didn't notice a big difference all at once, if that makes sense? Hair extensions are another story though. ugh. I'll never do that one again! I've been wanting to try extensions for awhile now but just haven't made the investment. The thought of it taking so long to apply them definitely is keeping me away for now too. wow i really appreciate your honest feedback. you definitely highlighted things i had never thought of. like how hard it is for me to sleep on my back and i use a sleep mask. thanks for the tips. You definitely rocked those long lashes! I bet it was extremely nice not having to deal with putting on / taking off mascara for a month… hands down, least favorite part of the day is taking it off at night. I have been blessed with pretty long lashes naturally. However, I have a TERRIBLEEEE habit of rubbing my eyes/pulling at my lashes. These extensions sound so tedious, probably not for me but they are beautiful for sure! I've been maintaining mine consistently since early spring and it's a doozy for sure – but I love them! I will probably stop once I get married but I absolutely love not wearing eye-makeup during the work-week! I was talking to a specialist the other day! I don't know if I would do it but yours look fabulous! I've been debating them for a while and this was super helpful! They look amazing on you! I used to get lash extension but I love rubbing my face at night and massaging it with oils so I don't wear them anymore. How sad my lashes looked after taking them off just made me not want to get them anymore. Thanks for sharing your insights! These are such great tips! I've been wondering a lot about eyelash extensions. #10 is the kicker for me!!! I KNOW I'd be addicted real quick if I ever try them and since they are such an investment, I'm holding off as long as possible. 🙂 Thanks for the helpful info to consider! Sounds like the vicious ((or wonderful – depending on how you look at it haha)) cycle I have put myself in with getting mani's. I know once I start I wouldn't want to stop! I got my first pair a few months ago and wish I had read this!! Honestly I wasn't a fan of them and it was just too much upkeep for me. These look so pretty on you! 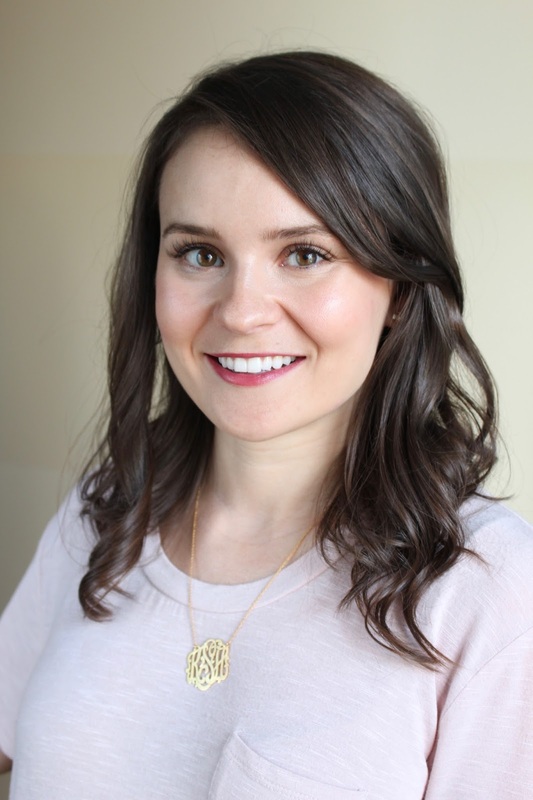 I've always been curious about eyelash extensions – thanks for the info! This is an awesome post! Your lashes look so good!! I've wanted lash extensions for a while, but I don't know if I can justify the $ plus upkeep. Such great results! Love some good & long lashes! This is such a great post and so timely! I was just thinking about getting them, myself. You provided a lot of great information and now I'm reconsidering getting them. Thanks lady!